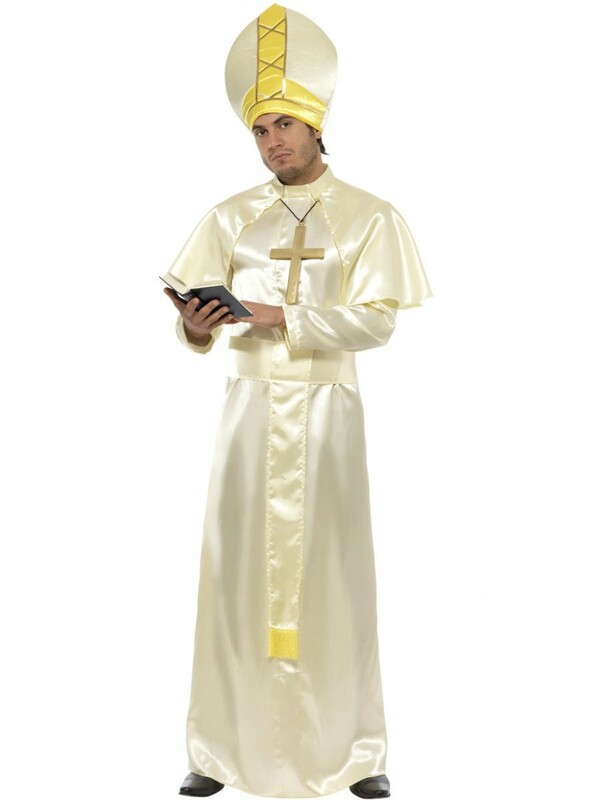 This brilliant Pope Costume is perfect for any Comedy/Uniform themed occasion! This outfit includes Robe, Sash, Hat, Necklace and Cape. 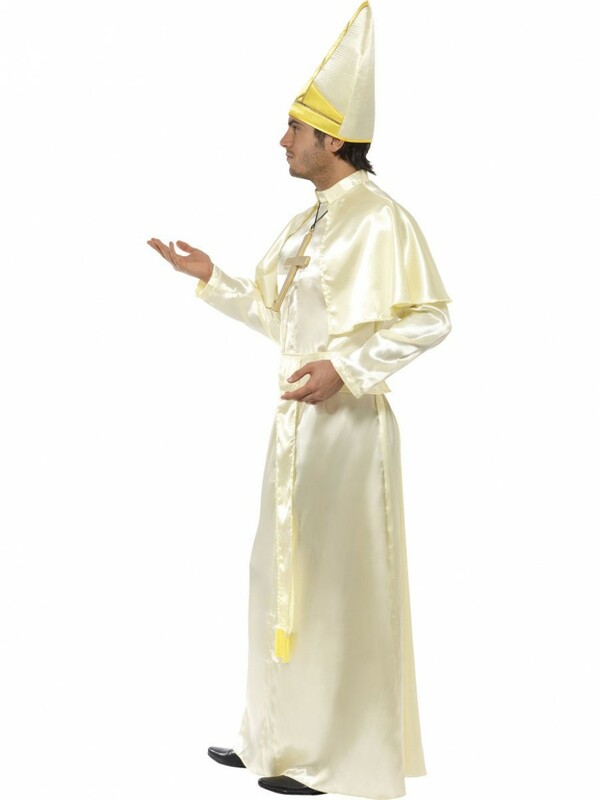 This fun Pope Costume includes Robe, Sash, Hat, Necklace and Cape. The outfit is ideal for Film/Uniform fancy dress occasions. The cream coloured robe is in a floor-length design with long sleeves, struck in a shiny satin material to add elegance to this outfit. The sash goes around the waist and has a hanging piece at the front. A tall hat in an oversized design is included; this is in a soft foam-like material with a yellow and gold stripe down the middle. 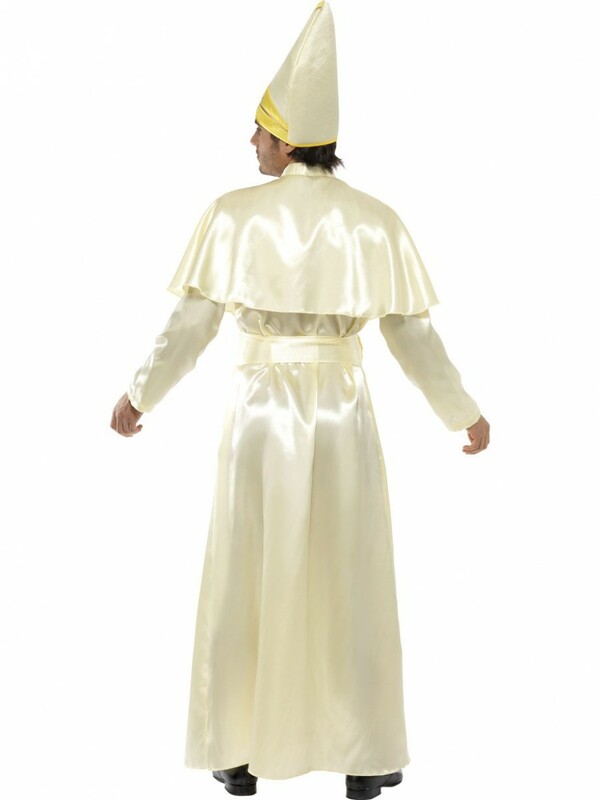 Also included in this Pope Costume is a large gold cross on a black cord and a short cream cape which drapes over the shoulders to perfectly complete the look! A great Pope Costume, the perfect choice for any Uniform or Film themed fancy dress occasion or any Saints & Sinners parties! Pope Costume including Robe, Sash, Hat, Necklace and Cape.